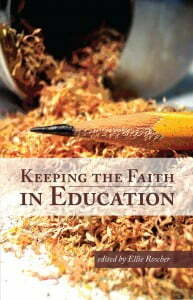 Keeping the Faith in Education tackles problems in education from the angles of faith, hope, belief, and redemption. In a time when teachers are under attack, they tell the world why all of us should continue to believe in their soulful, worthy work. It is a collection of essays and poems written by teachers and students that will inspire and restore anyone who works in education. Each page serves as a reminder of how and why teachers bare their souls to help their students shine.